jawa von cherié: ORDERED ELF MAKEUP, FREE SHIPPING! ORDERED ELF MAKEUP, FREE SHIPPING! I made an small order from ELF cosmetics, what I love about them is that they are so CHEAP! The quality is great, they are famous in the makeup industry and are really affordable for those who don't have that much cashflow going on or just wants to save up, this is a great choice. I made a review of their products that I have ordered before, you can read it HERE. 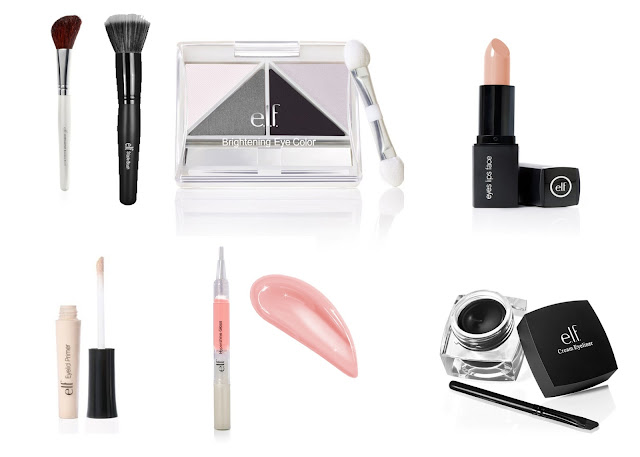 One of the best things with ELF, even thow the makeup is really affordable, we are talking about 1.50£ to 3£ they have times when they have a huge sale, up to 50% off your entire order or free shipping and so on. So if you haven't payed a visit to their website, click HERE. My eyelid primer is starting to near it's end, so I needed to order a new one. It has lasted me for a very long time even thow I have used it a lot, especially when it cost 1,50 £. It is NOTHING, for something that you use almost everyday for almost a year now, crazy! The subtotal for all of this went on 18.50£ for all of these products above on the picture. Not bad, not bad at all actually.. I fixed my nails with gel / today's facelook! Some pictures that I just like. I don't have any internet at home atm!